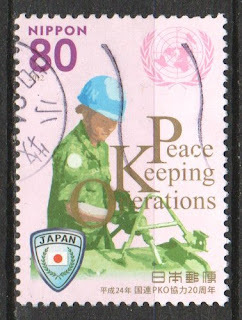 Peacekeeping is the maintenance of peace by an armed force. This is usually done in the context of a United Nations peacekeeping mission. 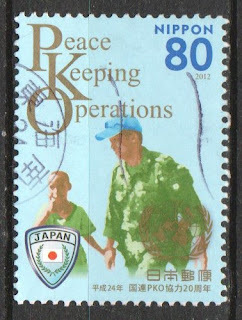 It is an honourable task and in 2012, Japan commemorated peacekeeping by issuing the stamps at left. UN peacekeeping began in 1948 and since then there have been 69 UN Peacekeeping Operations.